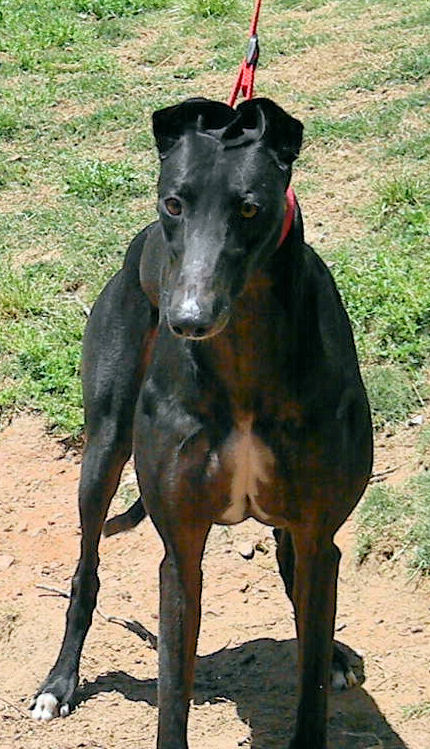 Yard Bird is a gorgeous decent-sized (RWt 74#) sleek and shiny guy who just celebrated his 4th birthday. Claiming a notable pedigree, he comes with a resume of 124 moderately successful races. He is very people-friendly and likes attention. Check out those cute “curly” ears!